Ohio State University has screened its first participant in a new, national Alzheimer’s disease (AD) clinical research study evaluating the potential benefits of an investigational medicine for people with mild-to-moderate AD. 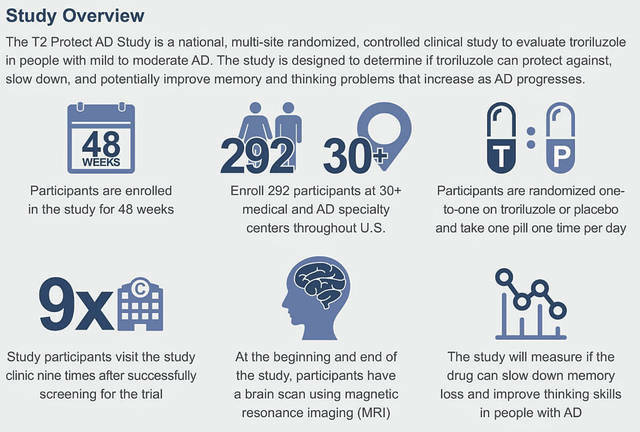 The Phase 2 study, called T2 Protect AD, is evaluating the investigational drug troriluzole (BHV-4157), which may have the potential to protect against, slow down, and eventually improve memory and thinking problems that increase as Alzheimer’s disease progresses. Troriluzole is a drug that modulates glutamate, protecting against neuron loss. Glutamate problems in the brain can lead to brain cell dysfunction and disease, including Alzheimer’s disease. Troriluzole is a prodrug of riluzole, a drug first approved by the Federal Drug Administration in 1995 to slightly slow disease progression in patients with Amyotrophic Lateral Sclerosis (ALS). Ohio State University is one of more than 30 sites in the U.S. participating in the T2 Protect AD study. The study is sponsored by New Haven-based Biohaven Pharmaceutical Holding Company Ltd., and is coordinated by the Alzheimer’s Disease Cooperative Study (ADCS), a large clinical research consortium, based at the University of California, San Diego. The T2 Protect AD trial comes at a time when Alzheimer’s research is focused on earlier stages of the disease and there are not as many clinical trials for people already diagnosed with Alzheimer’s. “Simply put, we need to identify more and better treatments for the millions of people already diagnosed with Alzheimer’s disease and the T2 Protect Study is designed for that population” said Scharre. Clinicians at the Ohio State University are now seeking eligible participants for the T2 Protect AD study. 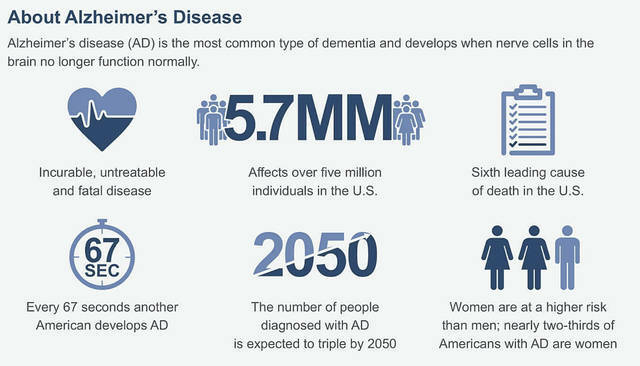 To enroll in T2 Protect AD, participants must be between age 50 and 85, diagnosed with mild-to-moderate Alzheimer’s disease, and already being treated with Alzheimer’s medications for at least three months. Participants must have a study partner who has regular contact with the clinical trial candidate and is able to attend study visits. For more information about participating in the T2 Protect AD study at Ohio State University, call (614) 293-4969 or visit T2 Protect AD.